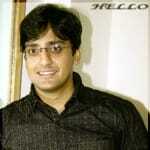 Dr. Bhavin Prajapati is a popular Dentist in Wadaj, Ahmedabad. He has over 12 years of experience as a Dentist. He has completed BDS . You can visit him at SPANDAN DENTAL CLINIC in Wadaj, Ahmedabad. Book an appointment online with Dr. Bhavin Prajapati and consult privately on Lybrate.com. Lybrate.com has a number of highly qualified Dentists in India. You will find Dentists with more than 25 years of experience on Lybrate.com. Find the best Dentists online in Ahmedabad. View the profile of medical specialists and their reviews from other patients to make an informed decision. Hello. I am 19 Years Old Boy. Actually I Have Suffered From Wisdom Teeth Pain 15 Days Ago. Then, I Got Mouth Ulcers. Wisdom teeth come between the age of 18 to 25 yrs. Because of the pain, you could not have proper diet which might have caused a nutritional deficiency leading to oral ulcers. Have a good balanced diet specially green veggies and fruits and maintain a good oral hygiene. Keep smiling. I am2 years old male and I am suffering from gum bleeding from 1 month. What should I do? See yout dentist soon. He can examine you and advise you teeth cleaning. It may be due to poor oral hygiene. Keep your teeth clean after the treatment n visit your dentist after every six months. I am eating tabcoo so my teeth colour was dirty what should I do for clean the teeth. There are two types of stains. One is extrinsic n another is intrinsic. Extrinsic stains require cleaning n polishing. Instrinsic stains require bleaching or more invasive procedures. Better you get it assessed by dentist and stop using tobacco. Keep smiling. My tooth are slightly yellow. I have used many toothpastes but still facing the problem. Get them checked by the dentist. You can go for teeth cleaning, polishing followed by teeth whitening if you want. What is the difference between Teeth scaling and Teeth Polishing? Also! Give advantages and Disadvantages of both? Teeth cleaning removes the deposits n stains from the tooth surfaces while polishing smoothens the minor irregularities n makes the surface well-polished. Both have only advantages. Some people feel little sensitivity after cleaning which requires no treatment in the most cases. Rest may use a desensitising toothpaste for a few days. My son was eating chocolates daily and his teeth was damaged. Which tooth paste is used to my son? Please refer good toot paste. If his teeth have decay then you should see the dentist as soon as possible. Dental decay is not cured by medicines or tooth pastes. There are several toothpastes available in the market like cheerio gel, kids bunny, kidodent etc. Hi. I got infection in my tooth. Its been 3 years I was feeling sensitivity and it was getting increase with time. Now a days I am feeling pain in that tooth. Do I need rct? Can I smoke during the period of treatment? Hello, lybrate-user. First thing I would like to tell you and others is that dental problems are not cured by medicines. You will always need to undergo dental treatments when the cause is decay, fracture or plaque/calculus. Your history suggests infection, but without pics or doing inspection, its hard to know the cause. Still, if the tooth has decay n its not mobile then go for the root canal treatment as it would save your tooth and restore the functionality. Secondly, when tooth has pus at the end of the root due to infection, its better to avoid any type of heat to the local area either in form of hot massage, hot water gargles, or even smoking. Heat may spread the infection to other spaces leading to swelling. Smoking leads to interdental bone loss and your teeth become mobile. Most importantly, it may cause cancer. I hope this information would help you. Hello, I am 34 years old male and I have a dry mouth for last 4 months. When I drink water after 30 minute I need water. What should I do? There are many causes oc dry mouth most common are -dehydration -diabetes -radiotherapy -taking medicines for a prolonged period as most medicines have a side effect of causing dry mouth -professions where someone has to speak a lot n continuously we need to rule out the actual cause by taking a brief history n some lab investigations. I hope it will help.